April 30, 2018. What a fascinating study of an instrument not frequently heard in a solo role: the viola! 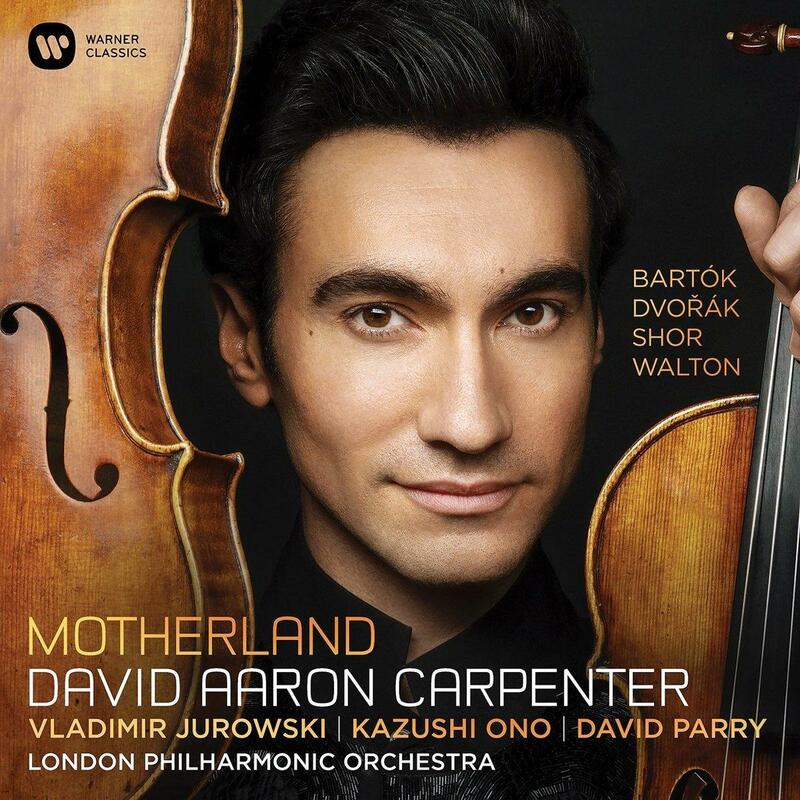 On Motherland, superstar violist David Aaron Carpenter shows us the range and depth of his instrument. Carpenter is certainly no stranger to Philadelphia audiences. He won the Greenfield Student Competition with The Philadelphia Orchestra and, in 2005 at age 19, made his debut with them playing the Walton Viola Concerto. While solo repertoire for the viola with orchestra isn’t all that plentiful compared to the violin or cello, arrangements have cropped up over the years that allow the viola a flashier role. Such is the Dvorak Cello Concerto arranged by Joseph Vieland a number of years ago, and edited by Carpenter, which you’ll find on this two-CD set. There are the staples of the solo viola repertoire…the Bartok and Walton concertos for viola and orchestra, and works by contemporary composer Alexey Shor. Born in Kiev, Shor has written three marvelous works on this album that are really entertaining. April 16, 2018. The repertoire of Shanghai-trained Xiayin Wang spans centuries of music, from Bach to Barber. The pianist has several recordings to her credit, on multiple labels. Her most recent release, Granados: Piano Works, is a collection of solo piano music by Enrique Granados, including Goyescas, his crowning keyboard opus.